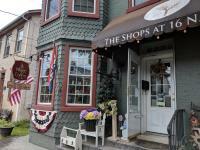 York County is home to some of the best eateries you can imagine. From farm fresh markets to ground breaking restaurants, York has it all. Getting to these eateries may take you over the river and through the woods, but trust us, they are well worth the drive. Smittie’s Soft Pretzels – Drive too fast down Carlisle Road in Dover, Pennsylvania and you might just miss family owned Smittie’s Soft Pretzels, which would be a shame. 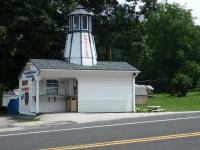 Founded in 1934 by Lester Smith, this road side pretzel stand is more than meets the eye. Not only are their hand-made pretzels delicious, but they also do catering, fundraising, and internet sales. The stand is open every Saturday and Sunday year-round, but don’t worry you can indulge in the salty goodness seven days a week by stopping by the bakery during operating hours. Built around the original large stone hearth oven purchased by Lester after World War II, the bakery is located just behind the road-side stand. And it isn’t just the original salted pretzels available. If you have a sweet tooth check out the cinnamon and sugar twist. Or make a meal out of it by ordering a hot dog on pretzel roll. Once you pick out your treats, you can head down the road to Gifford Pinchot State Park to enjoy them lakeside or head up the mountain to work off those calories at the many outdoor adventures available at Roundtop Mountain Resort. 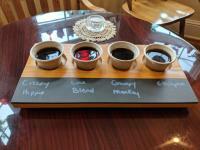 The Village Coffee & Cream – You’ve heard of a beer flight, but what about a coffee flight? Or an ice cream flight? If making up your mind on what to order is a struggle you deal with, The Village Coffee & Cream, located inside The Shops at 16 N. Main, might be the place for you. With over a dozen ice cream flavors, including three vegan varieties and rotating seasonal options, you might want to try the Ice Cream Tasting. Pick four flavors to sample, then pick up a pint of your favorite to take home. Owners John-Paul Whitmore and Diane Kraatz are meticulous about their homemade concoctions. Every Tuesday and Wednesday they close the store to devote time to churning their ice creams. All that work is apparent in each scoop. If it’s a caffeine boost you’re after, The Village has it all. Start off by sampling the different Small World Coffee roasts they carry. Brewed fresh in small batch French Presses, each cup will warm up your morning or afternoon. Looking for something a little sweeter? Try one of their many lattes, or even better, combine both worlds and have an Affogato. This Italian dessert consists of pouring a shot of espresso over a scoop of ice cream.So good. 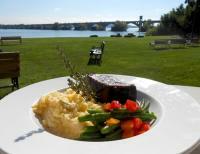 John Wright Restaurant – Sitting along the banks of the Susquehanna River, John Wright Restaurant offers not only a delicious locally sourced menu, but also amazing views of the Columbia-Wrightsville Bridge. Housed in the former John Wright Warehouse, this casual dining restaurant has just about everything you could be craving. Stop in for breakfast and try the Mancake, a bacon pancake stuffed with sausage, bacon and cheddar scrambled eggs with sausage gravy. Come back for lunch and an order one of their many burgers, with beef from local Locust Point Cattle Co. in Dover, PA. Or you can reserve a spot at one of the monthly Cigar Series dinners themed after a different culinary region on the last Thursday of every month. John Wright Restaurant is also a fabulous destination for weddings, reunions, or meetings. Take advantage of the outdoor Pizza Patio or the green lawns leading down to the banks of the Susquehanna for your next get-together. Once you’ve eaten your fill, don’t forget to browse the unique gifts at the Gardner of Owl Valley Shop located in the back of the restaurant. Dining and shopping in one building, it doesn’t get much better than that! Don’t miss out on these and more culinary options in York County! We&apos;re the York County Convention & Visitors Bureau, the Official Tourist Promotion Agency for York County, PA! We&apos;re happy to help you plan your getaway to York County. Stop in one of our Visitor Information Centers and talk with one of our travel counselors or call 1-888-858-YORK. Chrissy Tobias is the communications specialist for the York County Convention & Visitors Bureau. Raised in York County, she is passionate about promoting the many businesses and adventures available in the area. You can reach her at ctobias@yorkpa.org.